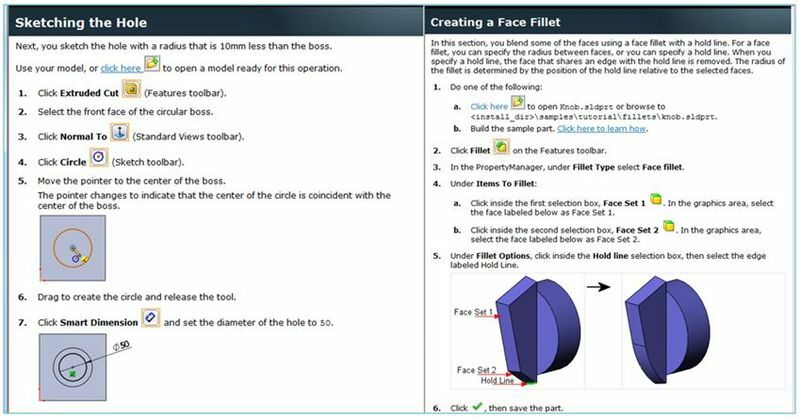 I find that the best way to learn about the tools available in SolidWorks is by using them. And one way that SolidWorks helps you to do this is by including an extensive selection of tutorials on a wide range of tools. 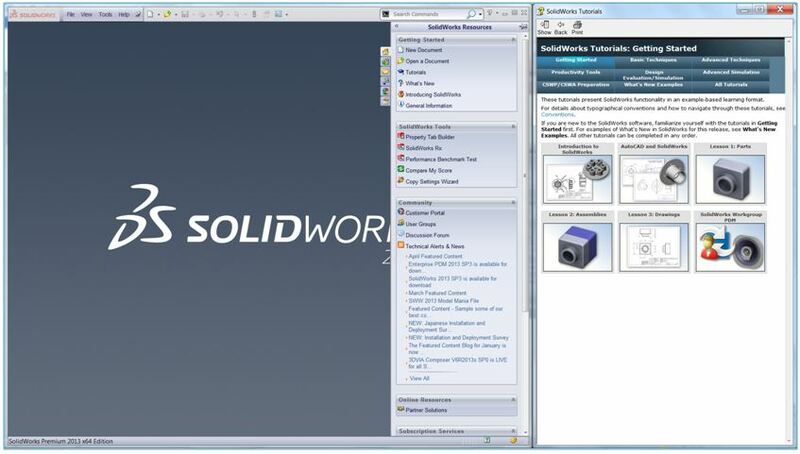 These tutorials are fully incorporated into SolidWorks and are available in the SolidWorks resources tab of the task manager, or under the Help menu. By hovering your mouse cursor over the tutorial links, each of the tutorials will describe to you a rough timing for completion and also an overall description of what you will achieve upon completion. Then to open the tutorial, simply click on the one that you want. Each Tutorial will start with an overview describing the process to be followed. The tutorials then describe exactly what the process is for the lesson, guiding you through step by step and helping you to understand not only what you are doing, but also describing why. There are clear instructions that include images of the process that is being carried out so that you can check your progress. When opening the SolidWorks tutorials, your SolidWorks window automatically resizes to allow room for the tutorial window to be shown at the same time. And the interaction between SolidWorks and the tutorials doesn’t end there. 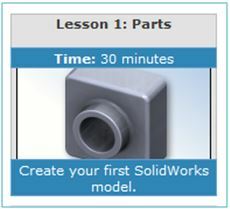 In the instructions for carrying out the tutorial, if you need to use a tool, both the name of the tool and what the button for that tool icon looks like in SolidWorks are given. 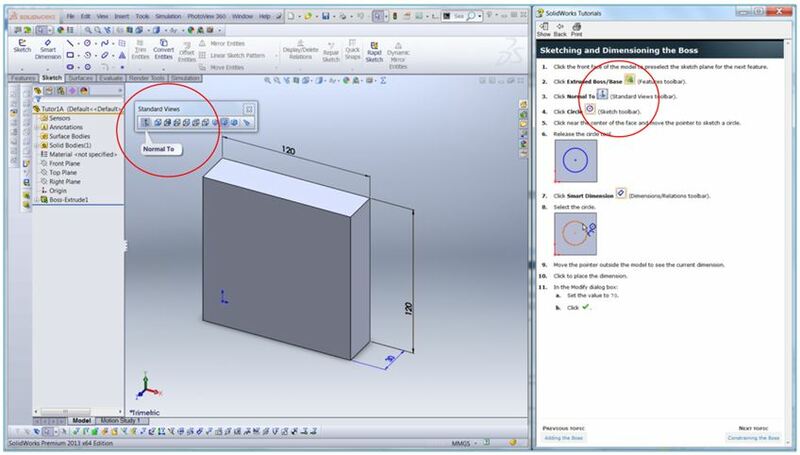 If you are unsure at any point of where that tool is in SolidWorks, you can simply click on the button in the tutorial text and it will be highlighted in the SolidWorks user interface. 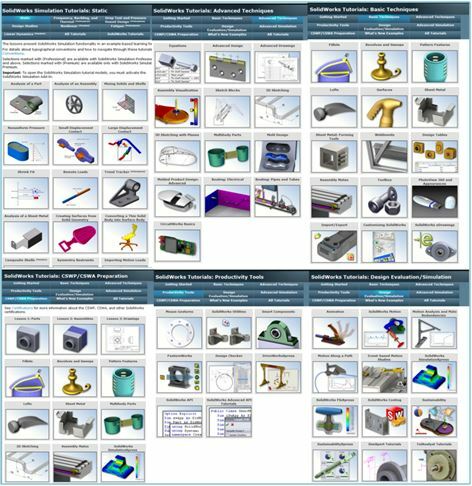 All of this combines to make the tutorial set that is built in to SolidWorks a valuable knowledge resource for learning more about the software that you use. Want to try out SolidWorks Premium? You can request a free trial on our website.